95% of death sentences imposed by the trial courts either commuted or resulted in acquittals at the appeal stages. The Centre on the Death Penalty has published much awaited Death Penalty India Report today. In the function held today in Teen Murti Bhavan, Justice Madan B. Lokur, Ms. Nitya Ramakrishnan and Dr. Anup Surendranath discussed the report. Following are some interesting statistics published in the Death-Penalty-India-Report. 78% death row prisoners have not studied beyond Secondary school and majority of them has not even completed Secondary. 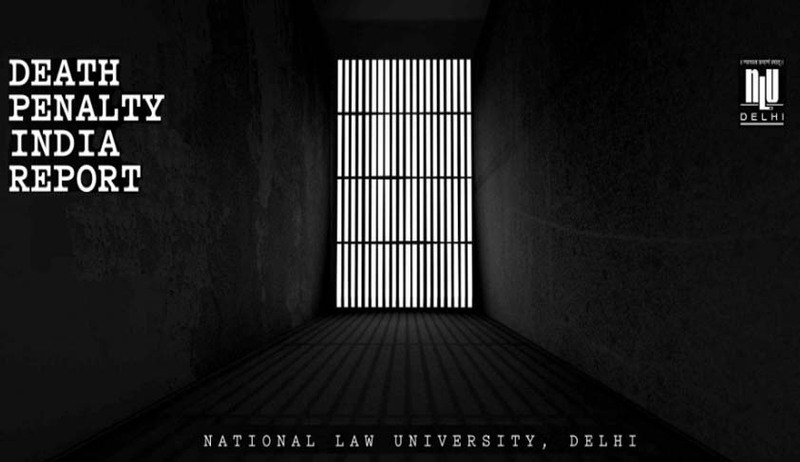 The Death Penalty Research Project is being carried out by National Law University, Delhi in collaboration with the National Legal Services Authority (NALSA), and was approved by Honourable Justice Sathasivam in his capacity as the Executive Chairman of NALSA. The Project seeks to create a socioeconomic profile of death row prisoners across India as well as map their interaction with the criminal justice system at different levels. The project, spearheaded by Dr. Anup Surendranath (Director) and Ms. Neha Singhal (Deputy Director), comprises over fifty researchers and seeks to achieve a deeper understanding of how the socioeconomic background of these prisoners influences their access to the criminal justice system, and how the system itself impoverishes those who seek access to it. Read the full text of the report - Summary, Volume 1 and Volume 2.